The draw for the Champions League semi-finals produced two fascinating ties. 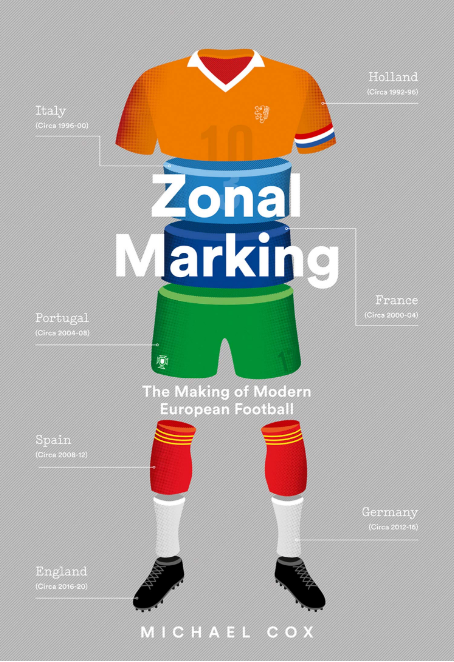 Germany and Spain are the leading two nations in European football at the moment – Italian football is going through a transition period, while the Premier League has declined suddenly, but not irreversibly, from the latter part of the last decade. The ties are perfectly set up – one based around transitions, the other based around possession. 2011/12 champions against each other, and 2012/13 champions against each other. This is the latter. Barcelona may not be European champions, but they remain the side to beat. Their performance in European competition over the past four years has been highly impressive – two European Cups interspersed with two semi-final defeats. Barca’s two aggregate defeats – to Inter and Chelsea – came when Pep Guardiola’s side were unable to break down parked buses (both reduced to ten men) at the Camp Nou in the second leg. Inter coach Jose Mourinho famously claimed he didn’t want his side to have the ball, for fear it would drag his players up the pitch and concede space in behind. “We gave the ball away,” he said. It’s hard to imagine Bayern will replicate that defensive approach throughout this tie. Because of the passing quality of Jupp Heynckes’ side, more than at any time in the previous five years, there’s a decent chance Barcelona will be outplayed at their own game in the European Cup. It barely needs outlining precisely what ‘Barcelona’s game’ is after five years of dominance, but few other sides have been so determined to emphasise the importance of their philosophy. Recently the club posted a short article on their website boasting that they’ve now gone 300 consecutive games of possession dominance, a run stretching back to before Pep Guardiola took charge. They’ve helped popularise the concept of ‘possession battle’, while simultaneously ensuring that no proper battle actually occurs – they’re just too good at keeping the ball. The article notes that Bayern are the closest challengers in this regard. In Europe’s major five leagues, Barcelona average 69.6% of possession, Bayern are next best on 63.6%. No-one else is on more than 58.9%. Similarly, Barcelona’s pass completion rate is 89.7%, Bayern’s 87.4%, and no-one else above 86.1%. Even before Pep Guardiola announced he was moving to Munich in the summer, Bayern had increasingly become based around ball retention. Their 2009/10 side, which reached the final and is still similar to the current starting XI, mixed good ball retention with a counter-attacking threat, but their progress to the final that season was more based around the latter. From the first game of the following season, the 1-0 win over Wolfsburg, their possession play was much more pronounced – it’s not unreasonable to suggest that Germany’s 1-0 defeat to Spain that summer in South Africa, a clear demonstration of proactive football getting the better of reactive football, contributed, considering how many Bayern players played for Germany, and how many Barcelona players played for Spain. Louis van Gaal was also clearly a major factor. Bayern have been heavily influenced by Barcelona – now, they have the chance to defeat them to signify a power shift before Guardiola arrives. 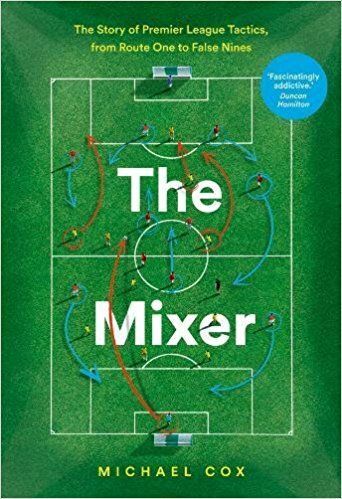 A common feature of matches between two passing sides is that the game doesn’t actually become about passing – it becomes about pressing. Passing sides understand the value of possession football, so as well as keeping the ball for long periods themselves, they try to disrupt the opposition’s play. When Barcelona have faced sides with comparable (if not equal) ball-playing ability – particularly Arsenal (the second time around once Arsenal had been stunned by Barcelona’s pressing in the initial meeting) and Villarreal (one of the best matches Barcelona have been involved in during the Guardiola/Vilanova reign) – pressing has been a major feature. Barcelona have pressed less energetically under Vilanova than under Guardiola – they don’t win the ball back as quickly, which means their defence has come under more pressure this season. Absences at centre-back have been a constant issue, but Barcelona’s major problem – the lack of clean sheets – is partly because of their relative lack of proactive defensive work at the other end of the pitch. 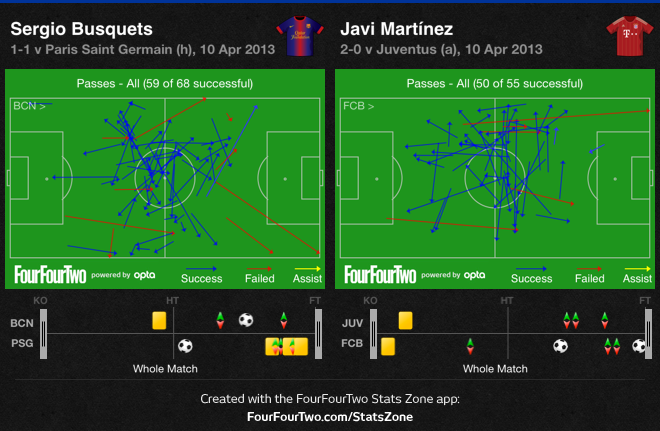 Whereas Barcelona’s front three used to press constantly until the 90th minute, now they stand off more. The advantage, of course, is that it’s less draining – and Barca haven’t suffered the dip in fitness levels that was evident in Guardiola’s final two seasons. They’ll surely press more frantically in this match, and Vilanova will have been encouraged by how badly Bayern started in their second leg against Juventus, when Bastian Schweinsteiger became flustered by the surprisingly high tempo, and had a shocking first 30 minutes before gradually dominating once the tempo had calmed. That was particularly odd given that Bayern pressed Juve so effectively in the first leg. However, the absence of both Mario Mandzukic (for two astonishingly small transgressions against Juve) and Toni Kroos (through injury) is a blow – they both press very well, and Bayern’s replacement forward – Mario Gomez or Claudio Pizarro – won’t bring Mandzukic’s energy. Bayern might have to sit deeper. Either way, this is a crucial part of the game. From a starting point of passing, the game becomes about pressing, and then back to passing – which side can pass out of defence more comfortably, and get the ball into midfield. That’s effectively the build-up to the main part of the game – the central midfield zone. Ideally, Heynckes would have got numbers into the centre of the pitch with Kroos dropping deep from the number ten position, as he did brilliantly against Real Madrid last year, and Thomas Muller moving inside from the right. That’s not possible, so instead, Muller will play at the top of the midfield, presumably with Arjen Robben playing on the right. The only alternative is a midfield trio of Javi Martinez, Luis Gustavo and Bastian Schweinsteiger – that remains unlikely. Muller doesn’t share Kroos’ intelligence in a positional sense, but he is tactically disciplined and hard-working. He might not contribute significantly to possession play, but he could prove very useful by replicating the role Ezequiel Lavezzi played against Sergio Busquets in the quarter-final – occupy Busquets when Barcelona have the ball, sprint in behind when possession is won. That would leave Javi Martinez against Andres Iniesta, and Bastian Schweinsteiger against Xavi Hernandez. The latter duel is most important in deciding who gets the upper hand in terms of possession, but Martinez’s role is also very important against the side who tried to buy him last summer. It will be interesting to see how often Martinez and Busquets drop into the defence, allowing their sides to play out more easily through the opposition press. 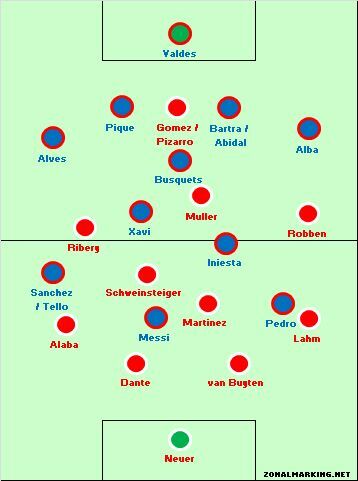 Although Guardiola often used Iniesta in the forward three for big matches like this, trying to bring more ball retention ability to the side, it’s difficult to see Vilanova doing the same here because of the problems between Cesc Fabregas and Andres Iniesta against Milan. Instead – assuming Lionel Messi is fit – he’ll probably play deeper than usual, almost as a number ten, to help overload Bayern. This is about who copes better with unavailable players. Mandzukic and Kroos’ unavailability is a real shame for the tie as a whole, but Barcelona have a problem at centre-back with Carles Puyol and Javier Mascherano out. Eric Abidal might not be risked considering his lack of playing time recently (although he’s often been thrown into matches without any problems since his health problems first emerged), and Marc Bartra seems the obvious option. Bartra’s a decent young player, but Bayern will look to test him. Pizarro’s all-round game is better than Gomez’s, so he seems the best bet – although both scored twice at the weekend. Messi’s position will cause Bayern’s centre-backs problems – in all probability, they’ll stand off and let Messi wander into deeper zones. Vilanova’s selection of wide players will be interesting. Pedro, for his discipline and energy, is a sure starter – him up against Philipp Lahm makes sense, although David Alaba also needs to be tracked. The identity of Barca’s third forward is unknown – it could be Cristian Tello, Alexis Sanchez or David Villa. Sanchez seems the best option because of his pace in behind – he (or Villa) could take up a reasonably central role to occupy the centre-backs, although if Vilanova is being cautious and wants the Bayern full-backs pinned back, he might use Tello. Despite attempting to compete in the centre of the pitch, Bayern might have some joy in wide positions. Assuming Franck Ribery and Robben start, they’ll look to exploit the space in behind Daniel Alves and Jordi Alba – although they must, of course, track them defensively. It’s important to remember that despite their clever passers, Bayern still have pace and trickery on the flanks. Heynckes may decide a Kroos-less Bayern can’t quite win the midfield battle, and would be better with a more reactive approach than usual. I think I would prefer Shaqiri to Robben in this match. Shaqiri’s work rate is superior to Robben, and I think from deep positions he can help string the counter attack better with well struck diagonal passes. Thanks for the preview, good read. Robben went crazy. Not like this even in world cup. Maybe it thanks to the pain of Bayern last year. Thank you for the preview, as usual I learned a lot. Now, about an hour before the game, I am surprised that you do not discuss the likely outcome of pressing on both sides. If Barca press Bayern, they can always pass back to Neuer who is very good at playing a long ball forward where Bayern have quite a drastic height advantage. Gomez, Mueller, Schweinsteiger, Martinez are all very good in the air and used to receiving these balls (the best – Mandzukic – will be sorely missed). On the other side, Valdez also often features as a station to hold the ball but features the long ball forward much less frequently. Despite Neuer’s reputation for the occasional blunder, it might well be Valdez who concedes a goal due to pressing rather than Neuer, who is much more used to the long, accurate pass forward. Bayern may lose possession on some of these and Barca will likely have the advantage in possession for the whole game. But I believe that Bayern’s likely game-plan (using long balls from Neuer to counteract Barca’s good pressing if it shows up) is more promising than Barca’s. Barca would have to raise their game drastically from recent performances to play out consistently against Bayern’s pressing without mistakes. Pouncing on these mistakes through 90 minute pressing has lead to many goals for Bayern in recent matches. Nice opinion but one point, Mandzukic absence may let Barca center backs some freedom which they can relay on instead of keeper. Thats a fantastic preview. Yes Bayern is not the same without Mandzukic and Kroos. But they are at home and let us see what happens. I just saw the lineups and your tactical review is spot on. So pumped. Great analysis as always. Thanks ZM. Bayern 4-0 Barcelona. First glimpse of what Tito Vilanova is made of. Play an injured Messi who doesn’t want to take any risks in a team who’s only concept of a defense is scoring more goals then the opposition and you have yourself a team with no attack and no defense. And also don’t make any tactical changes when you’re down 2-0 and you’ll have yourself the winning formula. Vilanova doesn’t have a clue. Barca need a fresh start in the summer with a new manager. of the best players in the world, but who have we got when they fail to create? An out of form Fabregas and Villa, Alex Song who looks lost in a Barcelona shirt, Tello? Compare our bench with the likes of Juventus, Madrid, Dortmund and Munich and we come up short. Simply put, even if we win the CL we need to buy at least two new forwards on top of some centrebacks as this “Messidependencia” jas gone too far! Fabregas was on fire in La liga….he simply cannot mix well in the system when facing stronger teams. Maybe because he used to playing too freely and directly in Arsenal. Better team won, hands down. Bayern deserved the victory of course, if not the score line. But may be a bit harsh criticism on barca n Tito’s tactics. Had it produced a win (as has many times happened), he would’ve been credited with extreme risk taking. Hindsight is always correct. And expectations are too high on barca for recent spectacular successes. Disregarding that, bayern as a team and bayern on individual strength (squad depth and overall quality) are far ahead of current barca in every respect, even before the match. There’s no way Barcelona could have won this game playing the way they did. None. Bayern were just better than Barca. More quality on the pich, more hunger, more pressing, running…. . Messi was just unfit he was walking all the time. Sanchez, Pedro, batra would not start in any other semi-final CL team. Robben, Ribery, Muller can actually beat their men and score. The Barca wingers can only pass back. So the attack with the unfit Messi was none-existant, hence the zero chances created. defense is too short and to weak. Yu can’t play both Alvez and Alba against top quality opposition. You need an Abidal like strong fast tall defender. We olso missed a double pivot with Song/Busi. (remember Keita). In the summer its time for these players to go: Puyol, Sanchez, Affelay,Valdes, Bojan, Dos Santos, Adriano, Cuenca. I would get Keita back for midfield, Tiago Silva and Hummels, Falcao ans Suarez and Courtoi and Barca will dominate again. Xavi, Iniesta are players that need to play infront of a stable defense and 3 goalscoring attackers. They don’t have that now. The end of an era? I think so yess. Some quaity players lost the motivation to win or are exhausted. Where was the pressing? Second Barcelona needs to make some hard decisions this summer, there are numerous players who are not Barca-material. Sanchez (OUT), Pedro (ok for back-up), fabregas (ok for back-up), Alvez (needs competition), Villa (OUT), Dos Santos (OUT). In: 2 tall, fast strong defenders. 1 new fullback (Adriano to injuryprone). 2 new atatcking quality options: Aguero, falcao, etc…..
Take out Alba, Sanchez and Pedro for 2010 Abidal, henry and Eto’o and you have a totally different Barca. This Barca didn’t deserve to go past PSG. So they were very lucky to reach this semi-final.But yo could see in the classico’s and in Milan and Paris that when this 2013 Barca faces quality opposition they look scared, lost and weak. Iniesta, Messi and Pique don’t deserve this, time to seriously invest some cash because both Real and Bayern will be even stronger next year. Hopefully we’ll get a proper ZM analysis of this match tomorrow, but my own interpretation of the game was that Barca’s central trio of Busquets-Xavi-Iniesta were completely starved of the ball by Bayern’s central pressing and flooding of the middle of the pitch. Barca were forced to play the ball out wide constantly to get any possession in Bayern’s half, and the only attacking moves they created involved crosses from the wing. Of course, no Barcelona player was ever going to match Bayern’s centrebacks in the air and so none of those crosses came to anything. It’s tough to think what Tito could have done to combat this: if three of the best passing midfielders in footballing history can’t find time and space in the middle, what can you do? Messi was a passenger, partly due to his injury, but it’s apparent that when he isn’t able to force the play through the middle they really, really struggle against top teams. This may be a predictable accusation, but this was an instance where Barcelona really could have benefited from some aerial presence up front to make the most of their attacking wide play. They have scored just one headed goal in La Liga all season last time I checked. I know; why don’t they buy Adebayor? so that in exactly the zone where xavi and iniesta would start their combinations, and accelerate into their sprints and finally try a killer pass – any short pass game was impossible. they tried a few times with kneehigh passes over this area, and then settled for going up the flanks all the time during the first half, and failed there. apparently UEFA must have kneeled on bayern to drain it, as start of 2nd half the water was (mostly) gone from that zone, but it already had an effect and worked VERY well into bayerns strategy, deny central barca buildup. couldnt believe uefa allowed the game to commence like that for first half! i mean, make the pitch fast by spraying a little wetness, fine; but really strategically drowning center pitch?? anyone else noticed that or was i dreaming that?? Spot on. The usually useless ITV commentators pointed to the problem several times. afaik barca and bayern decided both to water the pitch just mintues before the match. unfortunately the cl-banner at the center-pitch gathered some water and created this mess when the kids brought it outside. i cant remember who said that. it was in some interview after the match. If you can’t shoebox a player, he’s somehow unintelligent in positional sense, or can’t beat a man if his life hangs on it… Kroos is arguably a clever player for his position, but Müller neither plays the position nor he is any less intelligent when it comes to positioning in other areas, where he operates. Müller is a monster, I rarely seen a player so often at the right place at the right time, and certainly never a player who combine an incredible work-rate with the mentioned ‘ghost’ quality (Pippo would be a great example of a lazy proponent of the ghost mastery). The city was named for William Oakley, the proprietor of a 19th century stagecoach station located at a spring currently located about 2 miles west of the present townsite known as Oakley Meadows. David B. Haight, former member of the Quorum of the Twelve Apostles, of The Church of Jesus Christ of Latter-day Saints was born in Oakley. The small hamlet has served as home to a surprising number of famous Americans. The former governors of Utah and Massachusetts can trace their stock to Oakley. Jon Huntsman of Utah is the grandson of David B. Haight, above, and Mitt Romney, of Massachusetts is the son of another famous Oakley-ite, George Romney. Yet another Oakley Romney, Marion G. Romney, was a Counselor in the First Presidency of The Church of Jesus Christ of Latter-day Saints. You’d be better off finding a nice Forum for this question, many people on here don’t know much about computers.. . Also, put some more details when you ask on forum. Hi}Very nice article, and just what I wanted to find. I’ve been browsing on-line more than three hours today, yet I never found any fascinating post like yours. It’s pretty really worth enough for me. Personally, if all website owners and bloggers produced good content as you did, the net will be a lot more useful than ever before. Usually I do not read publish on blogs, but I wish to say that this write-up very forced me to attempt and do so! Your creating fashion has been amazed me. Thank you, very nice publish. This short article is the greatest. You have a new fan! I can’t wait for the next update, bookmarked! A great deal of media consumers these printing presses …. scenario that valuable right here you may see rather prepared report within the hot issue, not even an entire slurry marketing. Carry on! Hello. splendid job. I did not expect this. This really is a excellent story. Thanks! Would you enjoy internet dating solitary dark-colored girls? Don walk here and there going to the adult dating plus matrimony credit bureaus, for there are usually number of African Gals Dating sites. Several websites satisfy your favorite luxury connected with internet dating a strong Camera woman with a single click associated with sensitive mouse. A great Africa female is usually popular if you are an object of exceptional lovely secret and beauty. She’s one who has got unbelievable strength and always will work extremely hard to all issues with everyday living. There isn’t any shortage of adult men all over the world, who would like to particular date African-american single women who own all this functionality. However to identify a perfect match is extremely challenging. If you’re searching pertaining to single dark-colored women about such online dating services, then you’ll definitely unquestionably discover several girls who will complement along with compliment your style. We have a myriad of sites that happen to be specifically designed and also made for single men and women inside a certain condition with The african continent. Your Camera single men and women website is amongst the most trendy search web pages on the web. Camera gals are recognized to always be excellent and really different from girls far away. A lot of men prefer the dark sole gals out of Cameras pertaining to number causes. You are able to discover a african american women wherever plus in every county which you similar to. And then there are utilizing the arrival of online dating sites internet site; the world population has today develop into a small spot. Right now just about every place can be associated with one click of sensitive mouse. With the new technology of live speak along with video/voice meetings, you’ll find variety of things which may be accomplished so that you stay connected. There are actually range of items that you’ll want to remember before you connect to just about any Photography equipment woman on-line. Something essentially will have to decide if the girl will be enthusiastic since exclusively after that she will put together highly solid beliefs which may grow to be an amazing factor to suit your needs. Additionally this sort of forms of ladies have terrific sparkle to get spoken languages as well as appreciate going. These are incredibly ambitious and will focus on precisely the same along with you. They are very humble in most factors and thus this selection will make it important for the boys to see if the actual Cameras lady they can be dating is ardent adequate. It is quite easily accessible your African Women Dating websites on-line. Simply Search engines one of the best online dating service and sign-up by yourself generally there. Produce an # and fill the desired information regarding as well as in regards to the style of women you want. Together with adequate hard work, it will be possible to locate your ideal complement for yourself, who will can come as well as fulfill your current dreams. Web is extremely essential at this moment, because it works as a major beach. Just cheap gucci bags one must remember that never you must quit what we believe in. Colin Large rock underlines the rising interest in sites to get heart friends. He’s made reviews that are positive involving Africanwifefinder.world wide web where world. Via signing up for you to e mail plus video communicating, things are all free of charge generally there. Quality glasses is significant regardless of whether you want it to find out properly or perhaps only want to buy also called you once youare bright day. Top-of-the-line options located in glasses can be a couple of cheap oakley sunglasses. The reason for that is certainly that these eye protection are manufactured from the highest quality merchandise from where the framework and the lens are involved. So there will be little else prefer these items. Almost all folks are able to test just one pair of shoes grow to be sold for lifelong as it is snug, usually very not very heavy, in addition they have the various safety measures this place desires without taking on the functional suffer. If you were blessed with long and full eyelashes, finding the right sunglasses can be a daunting task. Sunglasses, which are a must for many, can cause discomfort as well as eyelash breakage if you wear a pair that interferes with your batting eyes. To avoid this you must find a pair of sunglasses that are rounded to fit your face, as well as provide additional space in the eye region. Evidence collection among a group of people can be tricky business. A police officer or detective might use several clear bags and label them based on who they belong, or where they belong. This method of tagging is excellent in being able to tell which items are where, and who they should be returned to once the investigation is complete. Having an opaque bag would contribute to wasted effort. If you are curious about top quality sunglasses which are also trendy and economical, this is a superb trademark for you to uncover. It’s simple to realize why these functional sunglasses are increasingly being marketed in top end departmental stores. They seem really superb! The majority of the glasses in the ” Regular ” line are exactly like the aviator, but every style has slight modifications. The new selection includes modern design with the traditional glance of Carrera consisting of two dominating looks ‘Champion’ and ‘Safari’. My apologies, just have to share this. Free access gateway to LiveJasmin http://is.gd/DJYTJc Use before they close it down! We are on the same page on this. And we want to learn from the commission report as to what happened, how it happened and what are ways and means of we – of us strengthening our intelligence network, what are ways and means of us being able to strengthen the political network and ensure that this type of, you know, thing doesn happen inside Pakistan anymore. The most practical argument on may offer with regards to choosing replica Oakley sunglasses in the original ones stem through the above stated point. If these cheap, classy and sturdy pairs serve principle purpose, then why should one pay a much more than 200 percent premium within the altar on the original brand? I wouldn’t mind producing a post or elaborating on most of the subjects you write with regards to here. Again, awesome blog! will you publish a new preview for this week’s game?